Pen manufacturer BIC has landed itself in boiling hot water after releasing a sexist advert supposed to be celebrating International Women's Day. The company has since apologised for any offence caused but it seems that the damage was done as people had their say online. The campaign featured a smiling woman along with the message "Look like a girl, Act like a lady, Think like a man, Work like a boss" along with #HappyWomensDay next to the BIC logo. BIC have previous for this sort of thing after they released a pen range designed specifically for women called For Her back in 2012. BIC released a response via their Facebook page which read "Hi everyone. Let's start out by saying we're incredibly sorry for offending everybody - that was never our intention, but we completely understand where we've gone wrong. This post should never have gone out. The feedback you have given us will help ensure that something like this will never happen again, and we appreciate that." Initially, they had posted a message defending their decision to run with the ad but felt they better go into full apology mode. 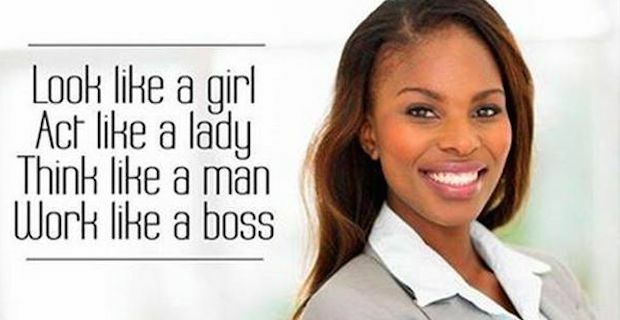 Twitter users have been having a field day today making parodies of the advert with @jmaz3 posting "Hey ladies, don’t forget to think like a man today. Yes, somebody actually got paid to write that". @cheapaccounting had a suggestion of a better slogan saying "My message to Bic Look like fool Act like an imbecile Think like a jerk Work like a cretin" while @gisellecory was simply gobsmacked tweeting "Look like a girl, think like a man. WTF Bic?" It remains to be seen how the giant pen manufacturer will fare on the back of this but one thing is for sure, BIC is on everybody's lips at the moment and the saying goes there is no such thing as bad publicity.